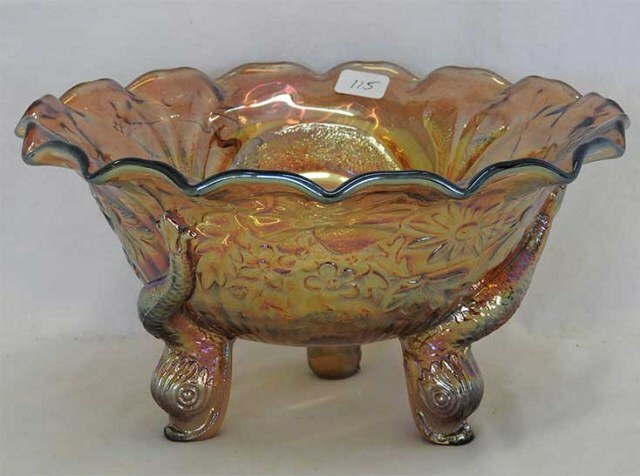 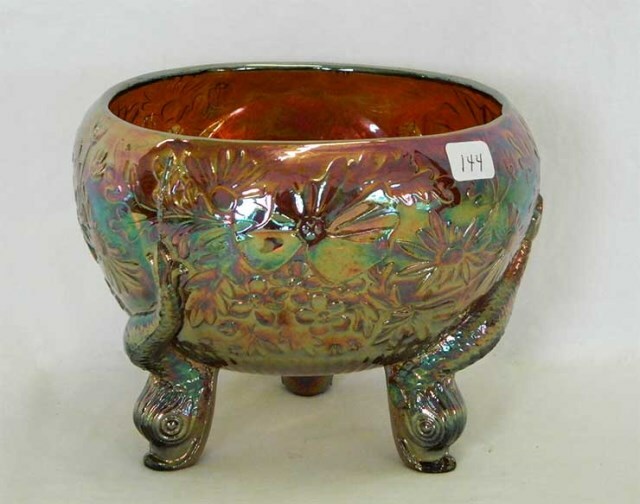 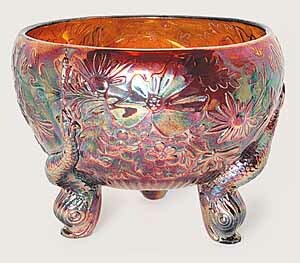 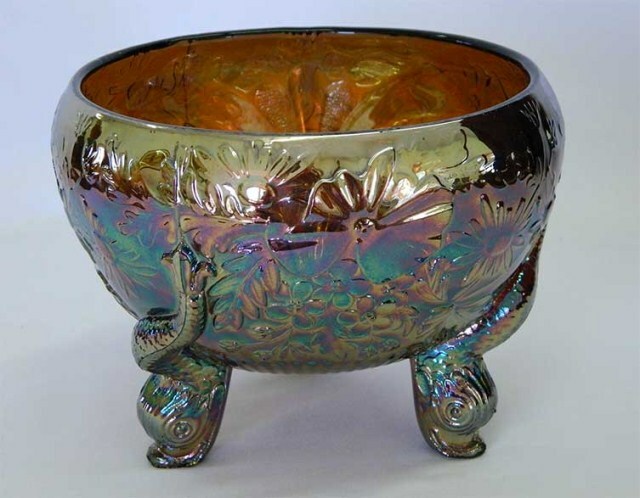 A very recognizable design with three dolphin feet and a floral exterior. 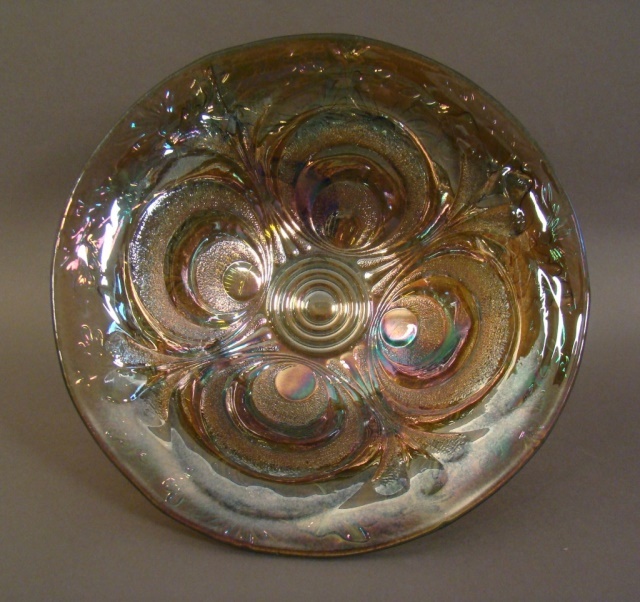 The interior (as can be seen in the bowl in the center) is Sowerby's version of Scroll Embossed. 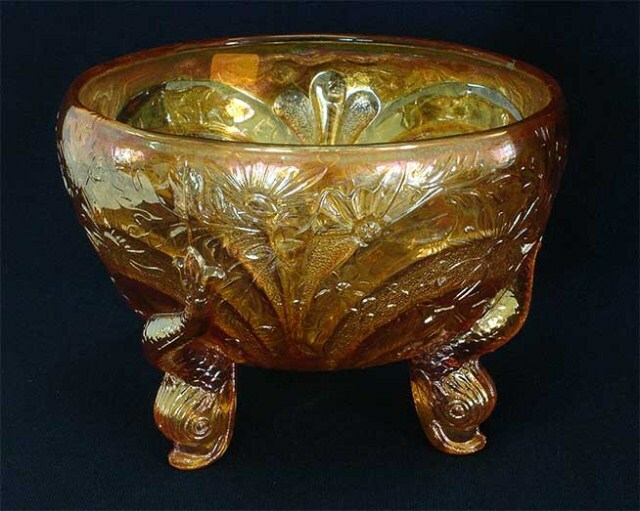 The bowls are sometimes referred to as compotes. 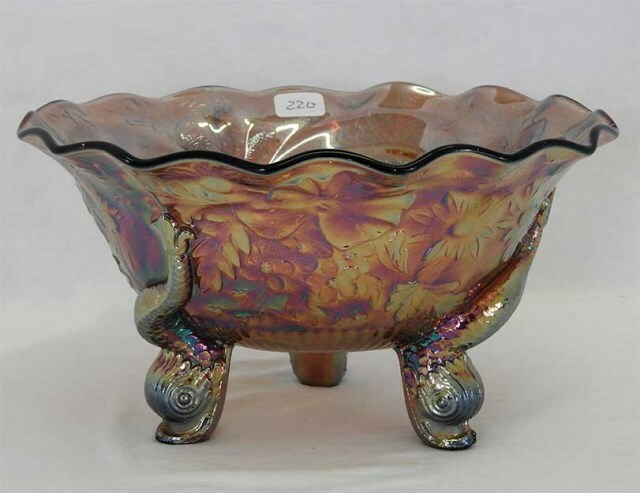 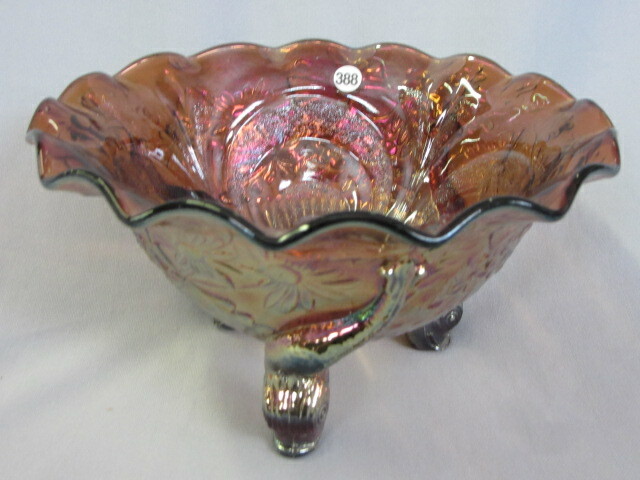 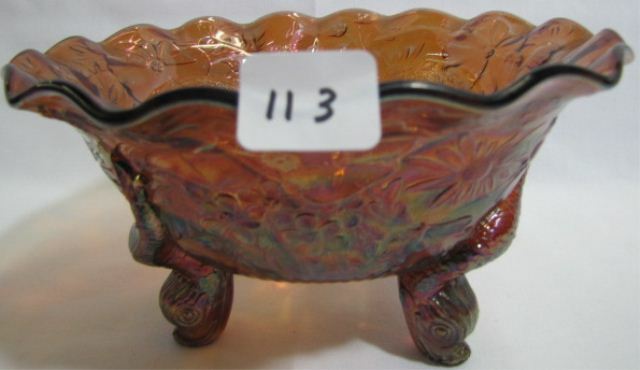 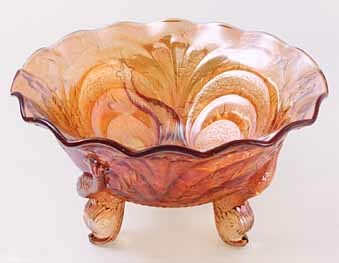 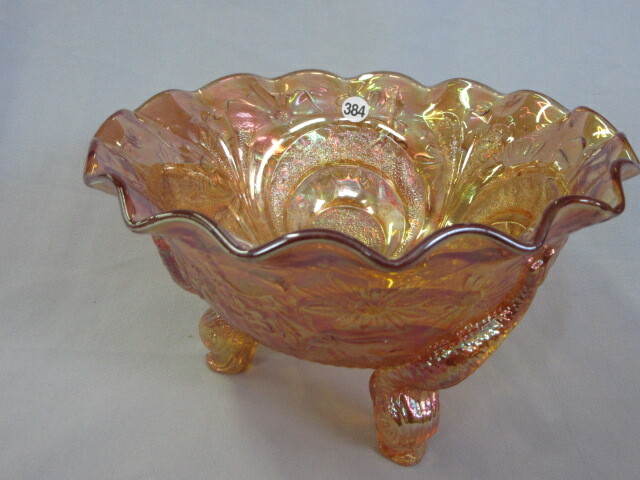 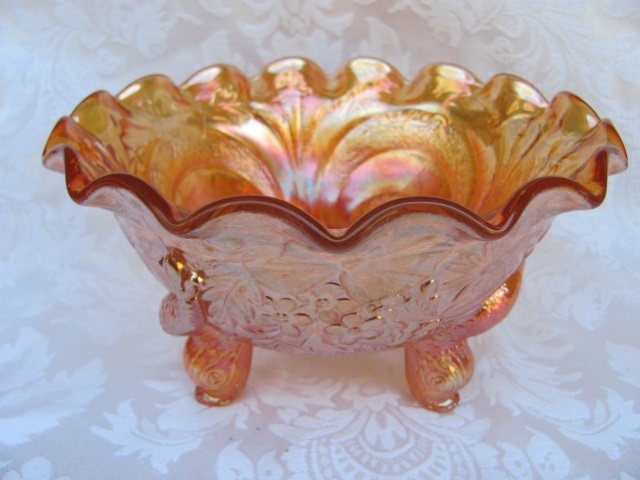 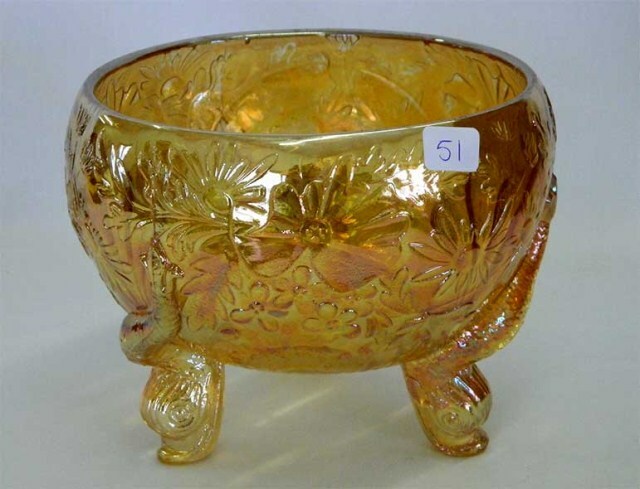 Rosebowls measure about six inches across and bowls spread to about eight inches. 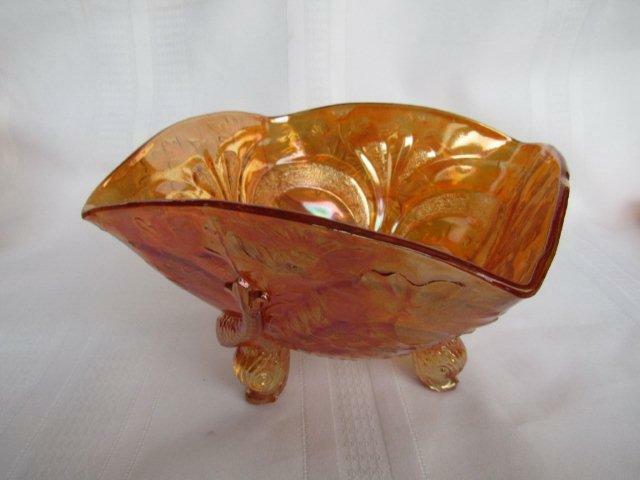 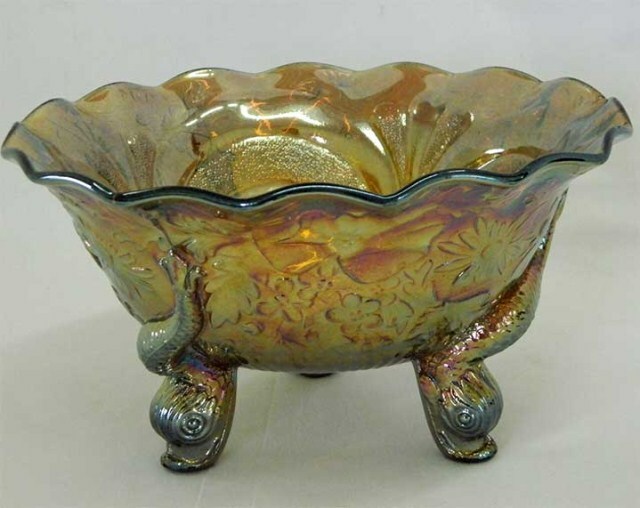 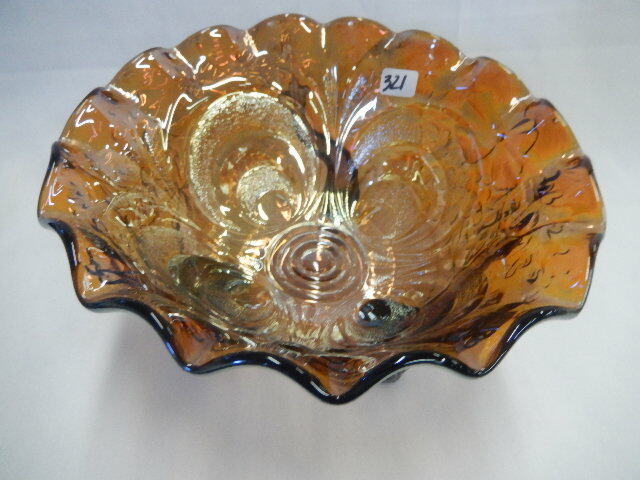 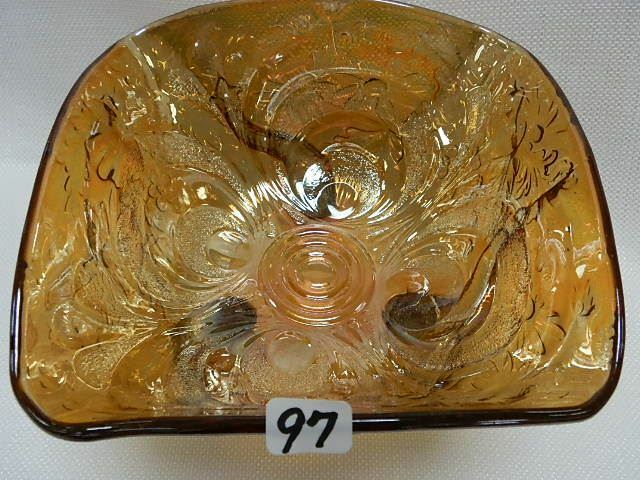 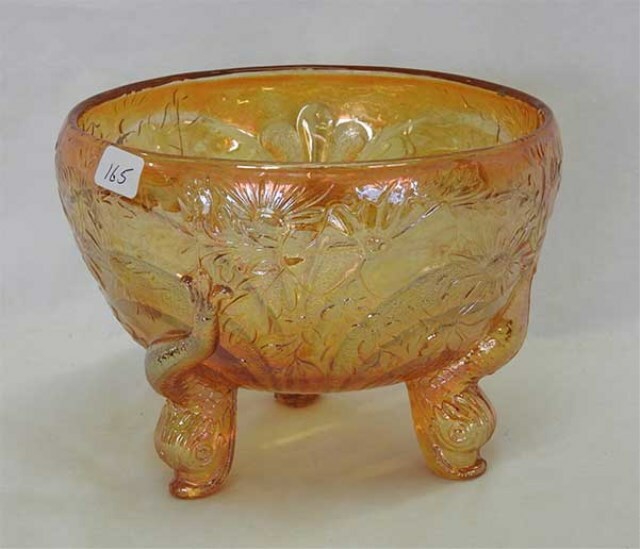 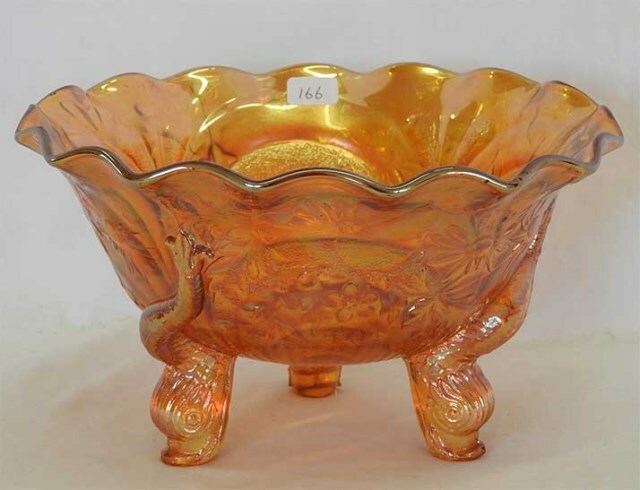 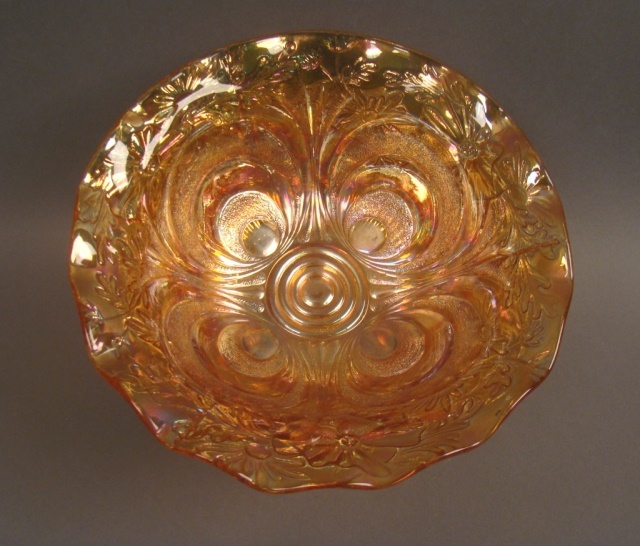 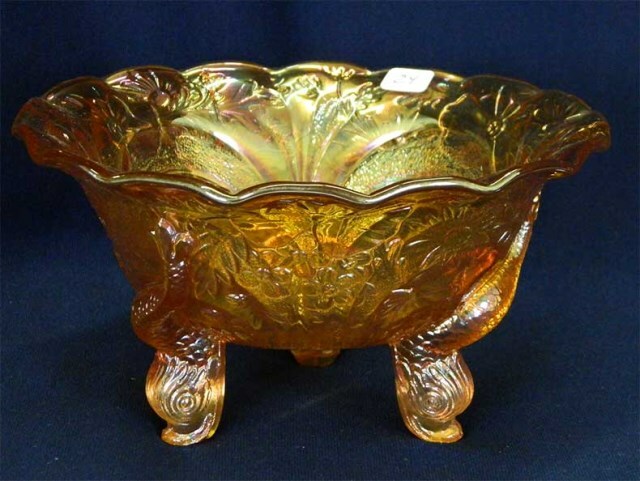 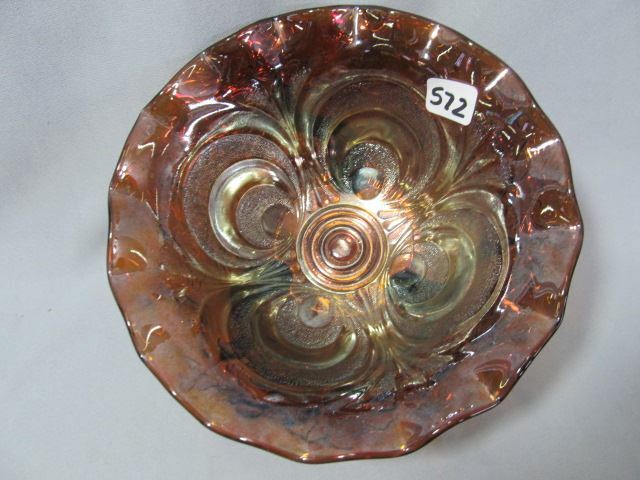 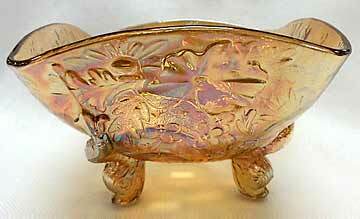 This square bowl in amber (on the right) is a very rare shape in the pattern. 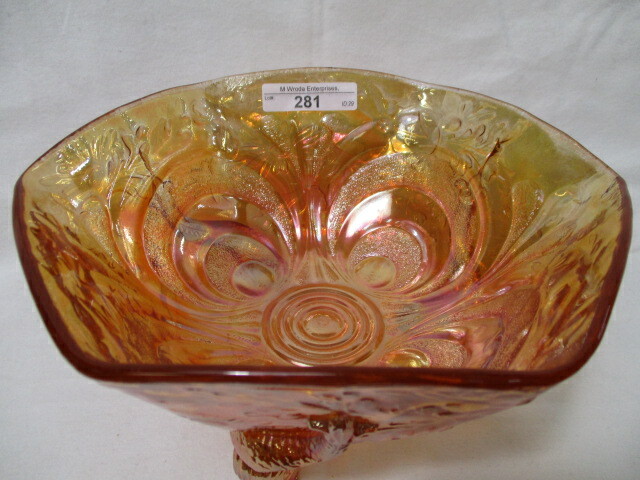 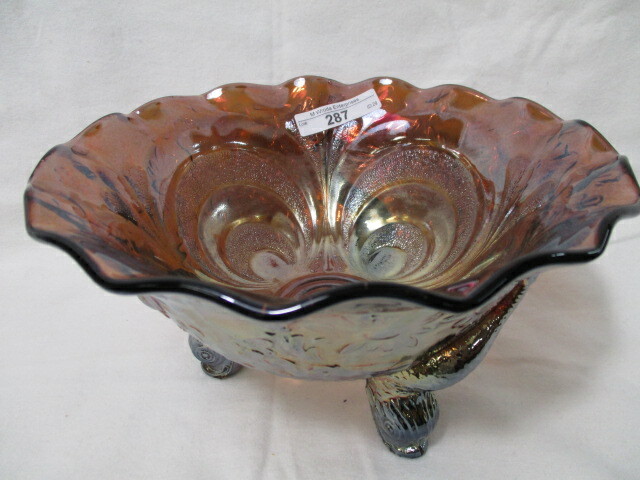 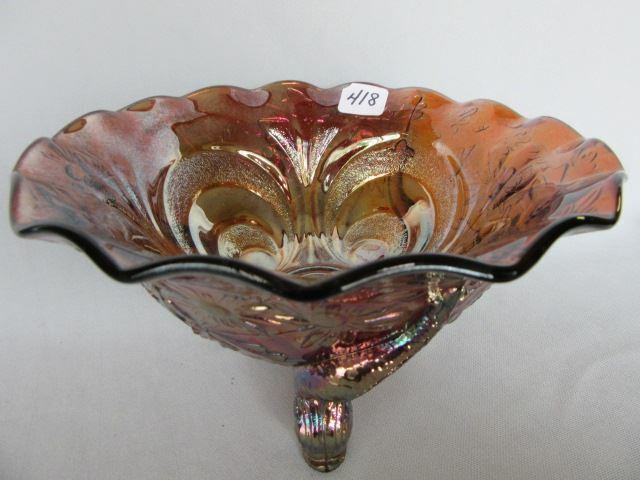 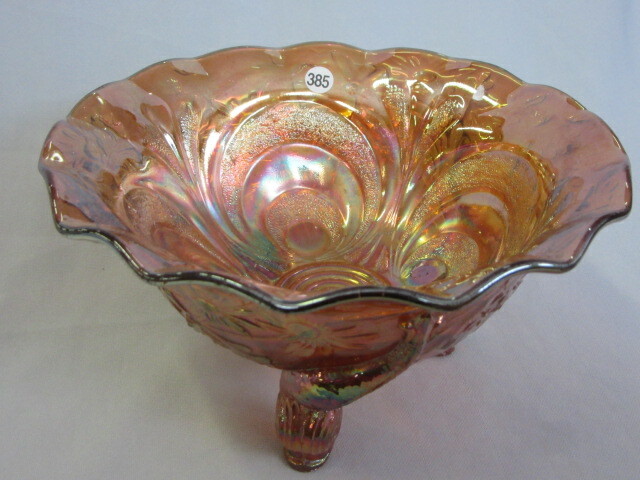 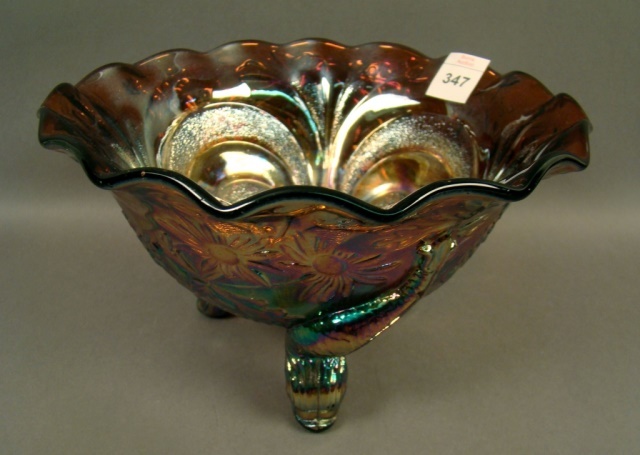 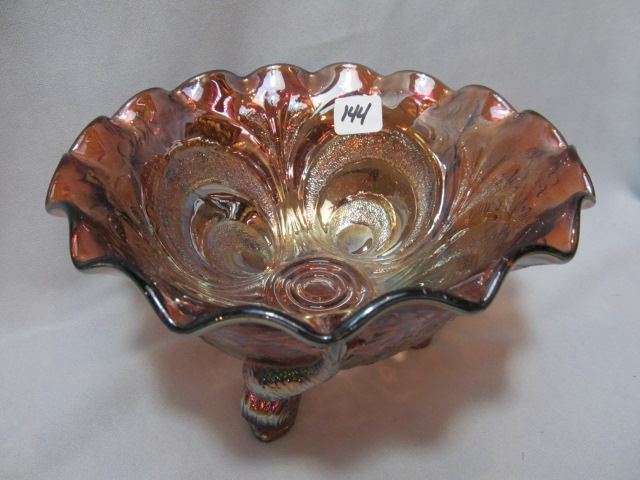 It brought $160 at the 2012 Keystone Carnival Glass Club auction.